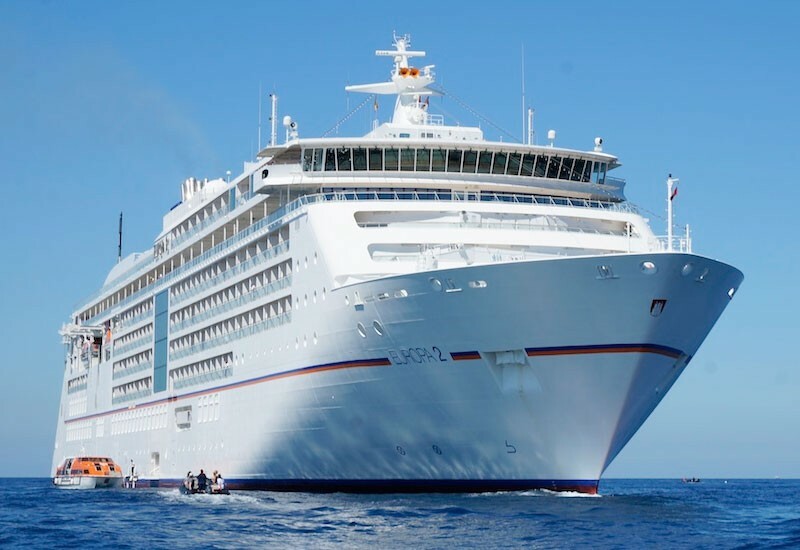 The EUROPA 2 will be waiting to welcome you on board in Tenerife. The island’s capital will greet you with its charming lifestyle and many small alleys. Discover the rugged nature in the Timanfaya National Park* with its volcanoes. Spend the day on Fuerteventura’s beaches – the most beautiful in the Canaries. Enjoy hours of relaxation on a sailing excursion by catamaran* or take an introductory diving course* for a glimpse into the colourful underwater world. Set against the backdrop of two bays with idyllic beaches, the island’s capital welcomes you with a host of enchanting cafes and boutiques. Feel the impressive power of nature on a hike to the Bandama volcanic crater*, which is 200 m (656 ft) deep. As you stroll through the streets of San Sebastian, you may be lucky enough to hear the totally unique whistling language El Silbo of La Gomera. Enjoy the natural beauty of the islands on a guided horseback ride* or a tour* through Garajonay National Park. The picturesque town with its magnificent floral displays and quaint manor houses lies near a volcanic crater that stretches out like a giant amphitheatre. For a fun driving experience, take two-person buggies on a discovery tour* into the mountainous landscape of the island’s interior. Or enjoy the impressive view of the world’s largest erosion crater in the Caldera de Taburiente National Park*. The most famous street, the Rambla del Franco, and the Calle Castillo shopping street invite you to take a relaxed walk in the beautiful town at the foot of the Anaga Mountains. Look forward to a visit to the 27,000-year-old Cueva del Viento volcanic cave* or a trip to the Pico del Teide volcano in Las Canadas National Park*. After one final night on board, you cruise comes to an end in the port of Santa Cruz.